LOS ANGELES, April 03, 2019 (GLOBE NEWSWIRE) -- Hanmi Financial Corporation (Nasdaq: HAFC) (“Hanmi”), the holding company for Hanmi Bank (the “Bank”), today announced that Bonita I. Lee has been appointed President and Chief Executive Officer effective May 3, 2019, and as a director of the Company and the Bank effective immediately. Ms. Lee succeeds C. G. Kum who is retiring from Hanmi, as previously announced. With more than 30 years of experience in the banking industry, Ms. Lee joined Hanmi as Chief Operating Officer in 2013 and was promoted to President in 2018. During her tenure with Hanmi, the Bank’s total assets have nearly doubled. Her deep understanding of the Bank’s business and strong record of success positions her for a smooth transition to the CEO role, and allows Hanmi to execute its strategic initiatives. 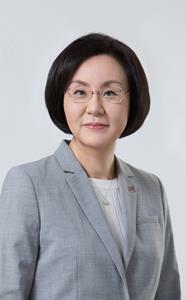 Prior to joining Hanmi and Hanmi Bank in August 2013, Ms. Lee was Senior Executive Vice President and Chief Operating Officer of BBCN Bank and BBCN Bancorp, Inc., where she was named Acting President and Chief Operating Officer from February 2013 to April 2013 and led an Executive Council carrying out the duties of the Chief Executive Officer during a management transition period at BBCN Bank. Prior to this, Ms. Lee served as director and Regional President of the Western Region for Shinhan Bank America from September 2008 to March 2009. Prior to joining Shinhan Bank America, she served as Executive Vice President and Chief Credit Officer at Nara Bank from April 2005 to September 2008, and as a Member of the Office of the President from March 2006 to September 2008. Ms. Lee also served Nara Bank as Senior Vice President and Chief Credit Officer from November 2003 to April 2005. Ms. Lee is a graduate of the University of Illinois, Chicago. Headquartered in Los Angeles, California, Hanmi Financial Corporation owns Hanmi Bank, which serves multi-ethnic communities through its network of 35 full-service branches and 9 loan production offices in California, Texas, Illinois, Virginia, New Jersey, New York, Colorado, Washington and Georgia. Hanmi Bank specializes in real estate, commercial, SBA and trade finance lending to small and middle market businesses. Additional information is available at www.hanmi.com. This press release contains forward-looking statements, which are included in accordance with the “safe harbor” provisions of the Private Securities Litigation Reform Act of 1995. In some cases, you can identify forward-looking statements by terminology such as “may,” “will,” “should,” “could,” “expects,” “plans,” “intends,” “anticipates,” “believes,” “estimates,” “predicts,” “potential,” or “continue,” or the negative of such terms and other comparable terminology. Although we believe that the expectations reflected in the forward-looking statements are reasonable, we cannot guarantee future results, levels of activity, performance or achievements. All statements other than statements of historical fact are “forward–looking statements” for purposes of federal and state securities laws, including, but not limited to, statements about anticipated future operating and financial performance, financial position and liquidity, business strategies, regulatory and competitive outlook, investment and expenditure plans, capital and financing needs and availability, plans and objectives of management for future operations, developments regarding our capital plans, strategic alternatives for a possible business combination, merger or sale transaction, and other similar forecasts and statements of expectation and statements of assumption underlying any of the foregoing. These statements involve known and unknown risks, uncertainties and other factors that may cause our actual results, levels of activity, performance or achievements to differ from those expressed or implied by the forward-looking statement. These factors include the following: failure to maintain adequate levels of capital and liquidity to support our operations; the effect of potential future supervisory action against us or Hanmi Bank; general economic and business conditions internationally, nationally and in those areas in which we operate; volatility and deterioration in the credit and equity markets; changes in consumer spending, borrowing and savings habits; availability of capital from private and government sources; demographic changes; competition for loans and deposits and failure to attract or retain loans and deposits; fluctuations in interest rates and a decline in the level of our interest rate spread; risks of natural disasters related to our real estate portfolio; risks associated with Small Business Administration loans; failure to attract or retain key employees; changes in governmental regulation, including, but not limited to, any increase in FDIC insurance premiums; ability of Hanmi Bank to make distributions to Hanmi Financial Corporation, which is restricted by certain factors, including Hanmi Bank’s retained earnings, net income, prior distributions made, and certain other financial tests; ability to identify a suitable strategic partner or to consummate a strategic transaction; adequacy of our allowance for loan and lease losses; credit quality and the effect of credit quality on our provision for loan and lease losses and allowance for loan and lease losses; changes in the financial performance and/or condition of our borrowers and the ability of our borrowers to perform under the terms of their loans and other terms of credit agreements; our ability to control expenses; and changes in securities markets. In addition, we set forth certain risks in our reports filed with the U.S. Securities and Exchange Commission, including, Item 1A of our Annual Report on Form 10-K for the year ended December 31, 2018, our Quarterly Reports on Form 10-Q, and Current Reports on Form 8-K that we will file hereafter, which could cause actual results to differ from those projected. We undertake no obligation to update such forward-looking statements except as required by law.